This tour is confirmed… Cleared for Airfare purchase, and there are 7 spaces left on the tour. This spiritual tour of Scotland goes from the North Sea at Lindisfarne (which is actually England) to Iona, an island in the Inner Hebrides of Scotland where St. Columba founded his famous monastery that began the establishment of Christianity in Scotland. 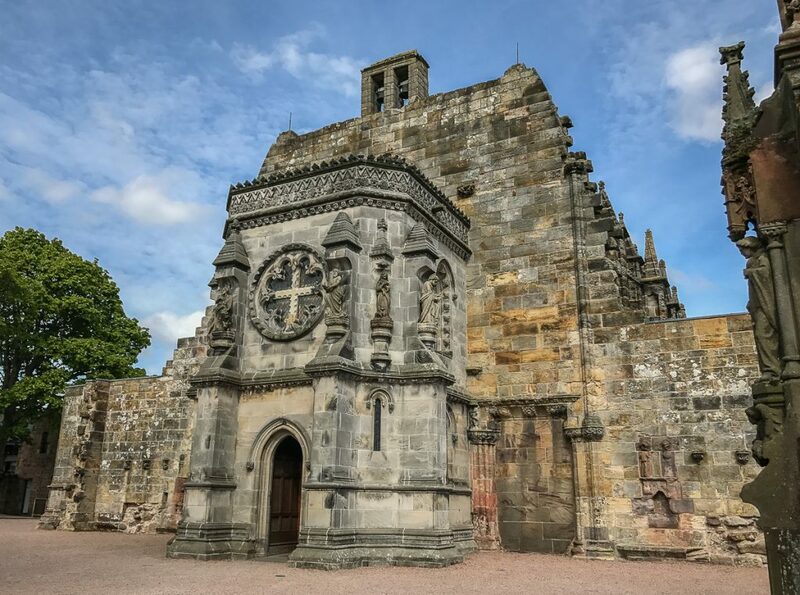 The tour moves within the context of the old stories of the monks of Iona and Lindisfarne who carved out a sacred trail between these two monastic settlements – a sacred trail followed by monks, kings, queens and the ancient pre-Christian people of Scotland. 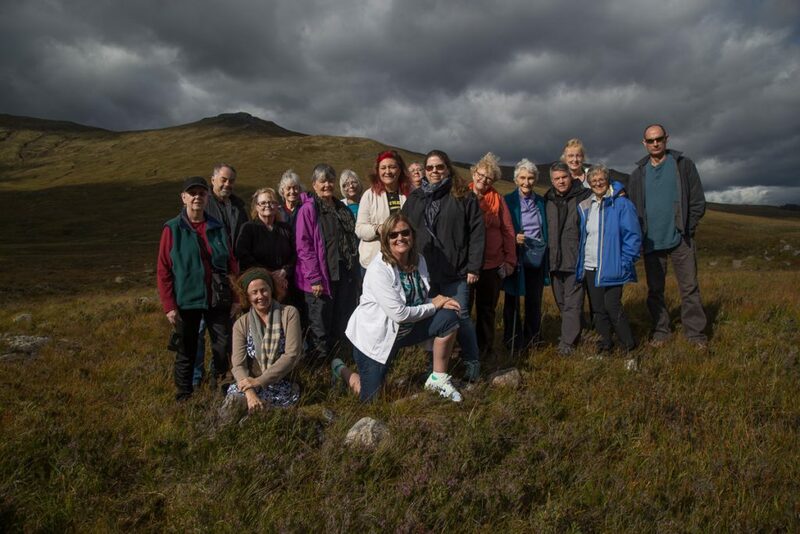 The tour also includes some of the stunning scenery of the Scottish Highlands with tales of the clans that once lived there. There are many sacred sites and places of healing and mystery on the Monks Trail tour. Highlights of the tour are Rosslyn Chapel (made famous in The Divinci Code), Holy Island (aka Lindisfarne) in the North Sea where St. Aidan founded a monastic community in the 7th century, Kilmartin Valley with the largest concentration of Neolithic monuments in Scotland, The Jacobite Train – a ride through the Highlands on a steam-powered train (4 hour tour), Iona – the Holy island where St. Columba established his monastery, which led to the conversion of the Picts, Lake of Menteith and the Inchmahome Priory and forest, and Stirling Castle. The focus of all our tours is “thin places” or places where the veil between this world and the eternal world is thin… where both worlds are woven together. And as on all of our tours, you’ll see the unspoiled hidden places few visitors ever see on other commercial tours. You’ll be traveling within the context of a story while peeping into the ancient past of mystical hills, stone circles, passage tombs, holy wells, monastic ruins, castle ruins and archeological wonders. The Monks Trail is this tour’s theme. There are many sacred site son the borderlands between Scotland and England and on up into the Highlands. Some of the Christian sites are built on former pagan sites. Over the years the rituals melded together and a single spirituality is layered into the landscape. On this tour, there will many mystical sites – thin places – where one might experience walking in two worlds. A full-time tour guide will be with the tour from start to finish as will our coach driver. 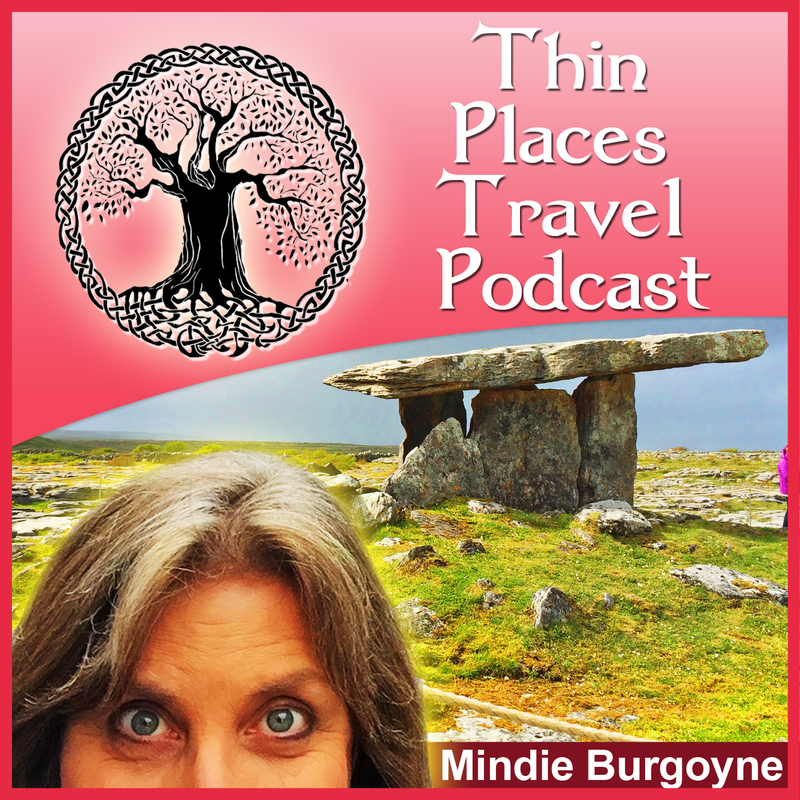 Your guide will be Mindie Burgoyne, tour operator and owner of Thin Places Mystical Tours. She has a long history of investigating thin places in Western Europe and an understanding of earth energies and the power of spiritual pilgrimage. Expert local guides will be with your group for a more in-depth visitor experience. These guides are local to the area and will be able to speak specifically about some of the sites on the tour. Ground Transportation – We enjoy the comfort of our own motorcoach for the entire 9 days. Guests are free to leave things they use daily (walking sticks, jackets, etc) on the bus. Bus may also include an onboard bathroom and wifi (depending on the size of the tour group). FREE DAY is included on the Lake of Menteith – Enjoy relaxing at the luxurious Lake of Menteith Hotel or participate in an optional daytime excursion (horseback riding, fishing and more). These excursions are at your own expense. TOUR START and END – We start and end the tour close to the Edinburgh Airport. Our coach driver will pick up the tour group at Edinburgh International Airport on Monday, May 7, 2018, at 12 noon. From there we will begin our tour, heading for Rosslyn Chapel and then the Island of Lindisfarne where we will spend two nights. On the last night of the tour, guests are booked into a hotel close to Edinburgh Airport where they can easily take a short cab ride to the airport the following morning. Guests may want to consider a PRENIGHT (May 6th) in Edinburgh for a little extra time to unwind and adjust before the tour. From there you can take a taxi back to the airport May 7th to meet the group. Cost is $3099 (based on double occupancy) and is for the land only. It includes lodging, all breakfasts, and four dinners. It also includes land transportation, admission costs, and the private guides. Posts about some of the sites will appear periodically on this blog. Single room supplement is $550. We suggest guests purchase travel insurance on their own. Deposit of $500 (plus $550 single supplement if applicable) per person must be submitted to hold the spot. Tour is limited to 25 guests. $50 discount for every Thin Places tour they’ve been on prior to 2018. Day 1, Monday, May 7th – LINDISFARNE – Guests will gather at the Edinburgh Airport at 12 noon and meet the tour guide and coach driver. 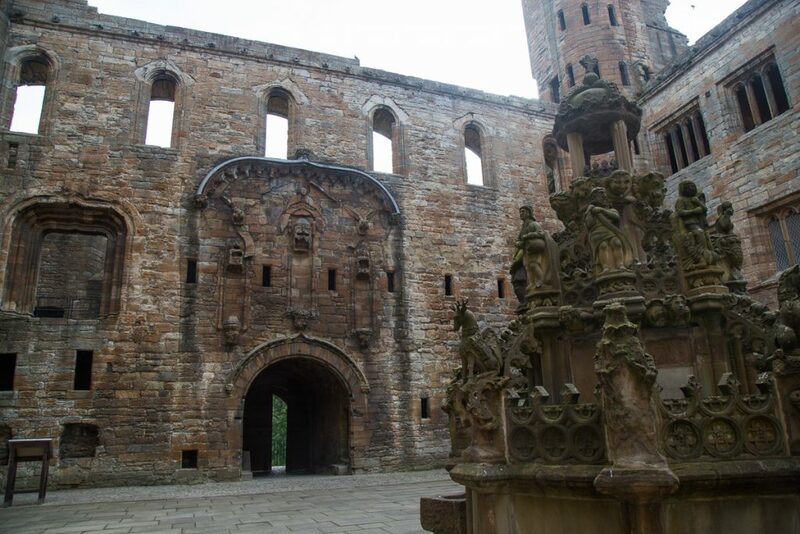 From there everyone will head to Rosslyn Chapel where some believe the Holy Grail ended up. Rosslyn is filled with mystery and a very heavy energy. Then stop at Melrose Abbey – the place where Robert the Bruce’s heart is buried. Then head out to the North Sea in Northumberland and cross into Holy Island (Lindisfarne) during low tide. Check into your hotel / b&b and enjoy a Welcome Dinner on Holy Island. In the evening, walk the beach, listen to the quiet, take in views of the castle. Dinner and overnight on Lindisfarne. Day 4, Thurs., May 10th – LAKE OF MENTEITH FREE DAY – Awaken at the Lake of Menteith Hotel and enjoy the day at your leisure. 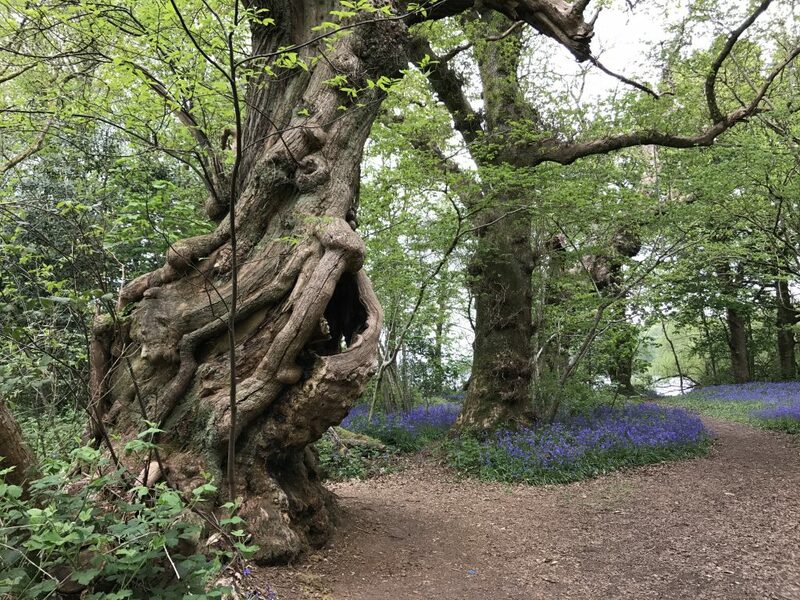 Take a walk, go fishing, horseback riding or take a cruise out to one of the islands in the center of the lake, visit the 13th-century ruins of Inchmahome Augustinian Priory and walk the mystical forest among trees believed to date back to the 1500s. Overnight at the Lake of Menteith Hotel. 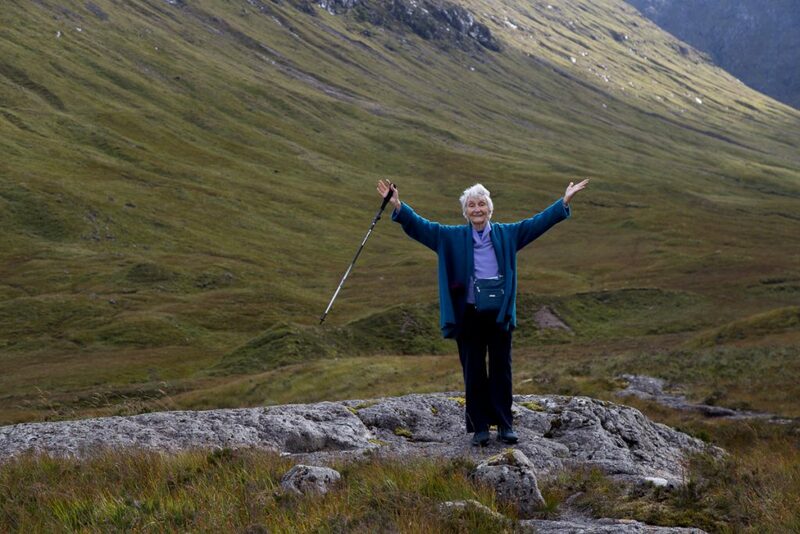 Day 5, Fri, May 11th – GLENCOE -head into the Highlands enjoying the scenic views. 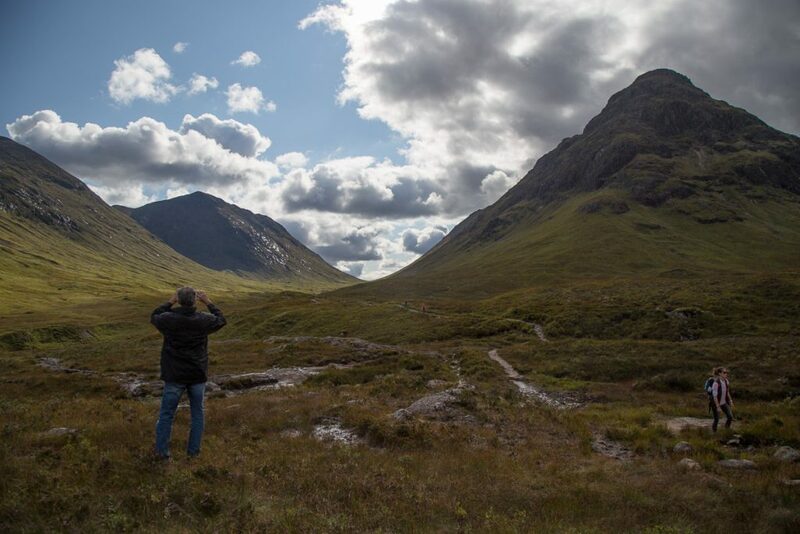 Stop in Glencoe – a haunted place where a terrible betrayal and massacre of thirty-eight McDonald clan members took place. It was the betrayal more than the murders of McDonalds in their sleep that has kept this story alive for over three-hundred years. Take a short hike at the foot of the mountains, visit the village and the memorial. Learn about the Isle of Discussion and see where the McDonalds are buried. Overnight and dinner in Fort William. 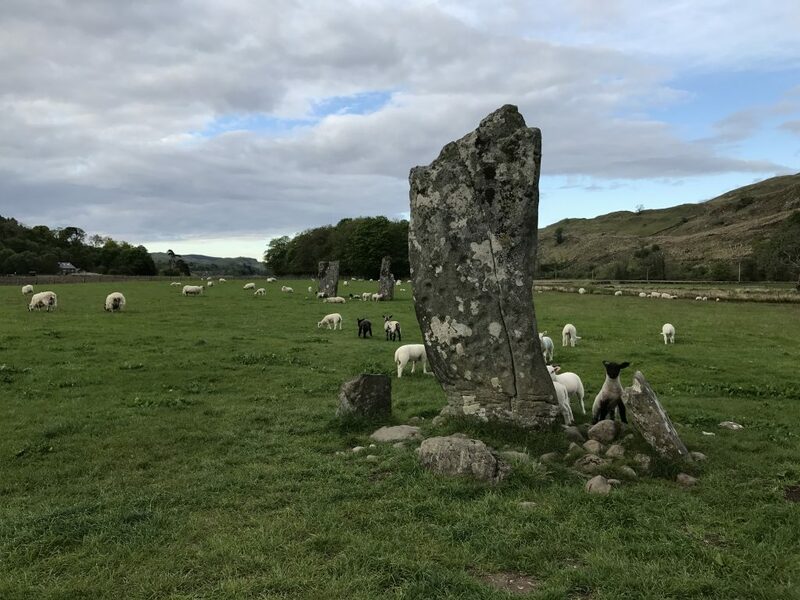 Day 7, Sun., May 13th – KILMARTIN GLEN – Visit Dunadd Fort – the royal center of Dál Riata where the first Scottish kings were crowned – and where St. Columba likely traveled to converse with an early king. Hear that story, place your foot on the inauguration stone and look out over the Kilmartin Glen. Then take a walk through the glen where there are over 150 prehistoric monuments located within a 6-mile radius. This is one of the most important concentrations of Neolithic and Bronze age monuments in all of Scotland. Visit standing stones, tombs and stone circles. Overnight in Oban. 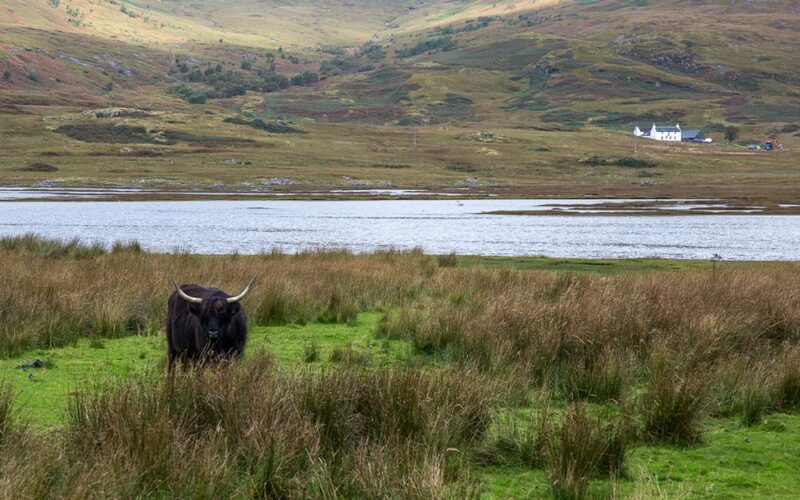 Day 8, Mon., May 14th – MULL & IONA -Head for the Port of Oban where the bus will board a ferry to cross over onto the Island of Mull – the second largest island of the Inner Hebrides. You’ll hear stories of mystical patches that transcend our existence. After the sweeping scenic views in Mull, board another (small) ferry to head out to the Isle of Iona where St. Columba founded his monastery in the sixth century. Tour the island and visit Iona Abbey. Walk the beach, visit the old nunnery. 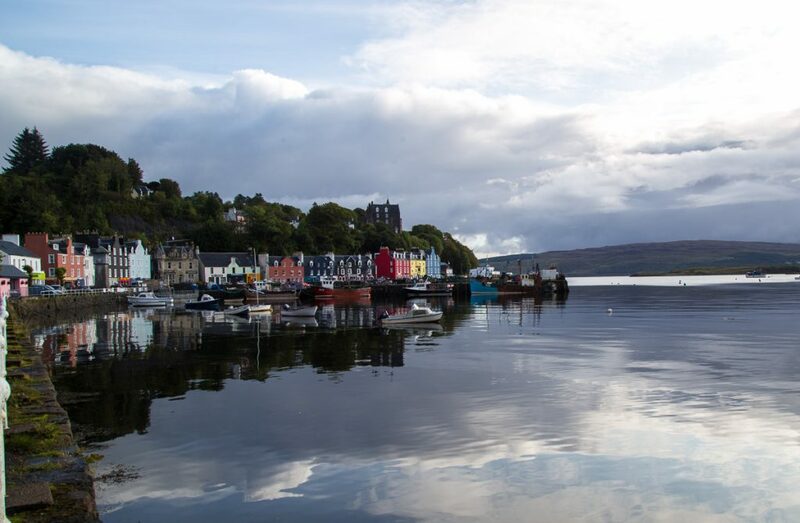 Then return again to Oban for dinner and sleep. Overnight in Oban. Day 9, Tues, May 15th – STIRLING CASTLE – EDINBURGH – Heading back to Edinburgh you will tour Stirling Castle, one of Scotland most historically important castles- home of the Stuart Kings with its grand hall, Chapel Royal, vaults, stunning rooftop views and gardens. Then visit Cairnpapple Hill, a 4000-year-old burial complex with a tomb you can actually enter. Finally, arrive in Edinburgh where you can enjoy the late afternoon in the city before your farewell dinner with your new friends. Overnight and Farewell dinner at hotel near Edinburgh Airport. Day 10, Wed., May 16th – Awaken in Edinburgh and either head to the airport for home, or continue touring on your own (we can help with suggestions for an extended tour). $500 per person deposit needed to reserve your spot (plus the $550 single supplement if applicable). Final balance due to be paid by 90 days before the tour. *NOTE: Itinerary is subject to change based on availability and in some cases – the weather.